NEW YORK, Nov. 7, 2017 /PRNewswire/ -- WebMD, the leading source of health information, today announced the winners of its 2017 Health Hero Awards. In its eleventh year, the awards honor individuals who are working to improve health and wellness by changing the healthcare landscape, meeting a health challenge and giving back to others. This year's winners are Chloe Fernandez, Kavya Kopparapu, Lauren Singer and Donna Magid, MD, MEd. To learn more about the winners of the 2017 WebMD Health Hero Awards, visit www.webmd.com/healthheroes. 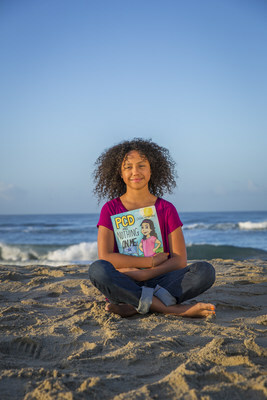 At just 10 years old, Chloe Fernandez is a published author of a book on PCD, PCD Has Nothing on Me! Donating the proceeds to Make-A-Wish and the PCD Foundation. 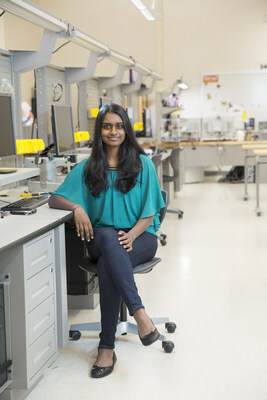 Seventeen year-old Kavya Kopparapu is the inventor of Eyeagnosis, a 3-D printed lens system and mobile app and MediKey mobile app, which lets EMTs quickly and securely pull medical information from unconscious patients’ smartphones. Inspired by her older sister who has autism, Lauren Singer pursues treatments for the condition, joining a team of scientists who were testing insulin-like growth factor-1 (IGF-1) as an autism treatment and taking part another study using EEG (a test that measures the brain’s electrical activity) to diagnose an autism subtype, Phelan-McDermid syndrome. 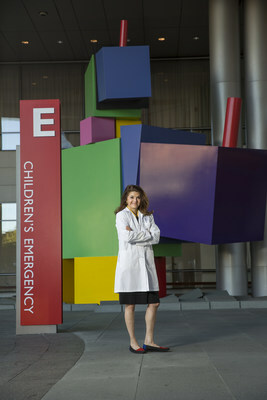 In addition to her joint appointments as professor of radiology, orthopedic surgery, and functional anatomy at Johns Hopkins University School of Medicine, and Director, JHU SOM Horizontal Strand in Diagnostic Imaging, Dr. Magid is a mentor to her students, helping them navigate medical school until they leave for their residency. Chloe Fernandez, Advocate At just 10 years old, Chloe Fernandez is a published author, reaching and teaching people of all ages about primary ciliary dyskinesia (PCD). At age 6, Chloe was diagnosed with PCD, a rare genetic disease that damages cilia, hair-like structures that sweep mucus out of the lungs. PCD builds up mucus, causing breathing problems and repeated lung infections. Living with PCD has meant major life changes for the 6th grader. Fernandez is home-schooled to avoid exposing her to the kinds of infections that used to land her in the hospital. During one of those hospital visits, she and her mother went to the library to check out a book on PCD, but there were none to be found. That is when Chloe decided to write her own book. With help from the Make-A-Wish Foundation, Fernandez published PCD Has Nothing on Me! She's donated the proceeds to Make-A-Wish and the PCD Foundation. Kavya Kopparapu, Inventor Seventeen year-old Kavya Kopparapu has shown her dedication to improving health and wellness within her community and beyond by creating medical devices, which help patients and healthcare providers overcome unique challenges. Last year, Kopparapu invented Eyeagnosis, a 3-D printed lens system and mobile app. The device snaps a photo of the retina and analyzes it with artificial intelligence to diagnose diabetic retinopathy, a diabetes complication that can lead to blindness, without the need for an extensive eye exam. Eyeagnosis isn't Kopparapu's first invention. During her freshman year of high school, she developed the MediKey mobile app, which lets EMTs quickly and securely pull medical information from unconscious patients' smartphones. Lauren Singer, Investigator Growing up, Lauren Singer thought her older sister, Jodie, was just a little quirky, but she later learned Jodie has autism, a developmental disability that affects her communication and social skills. When Singer was in sixth grade, she volunteered with Sunday/Funday, an enrichment program at the Jewish Community Center in Scarsdale, NY, for kids like Jodie with developmental disabilities. Through her volunteer work, Singer became more aware of what it means to live with autism and was inspired to pursue treatments for the condition. 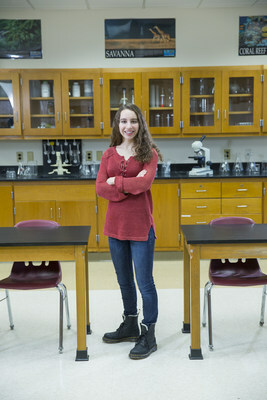 After her sophomore year of high school, Singer spent the summer in the lab of autism researcher Joseph Buxbaum, PhD, at Mount Sinai School of Medicine. She joined a team of scientists who were testing insulin-like growth factor-1 (IGF-1) as an autism treatment. The following summer, she took part in another study using EEG (a test that measures the brain's electrical activity) to diagnose an autism subtype, Phelan-McDermid syndrome. Singer continues to pursue treatments as a freshman at Yale University studying perceptive cognitive science and is an exemplary example of a health hero determined to identify a gap in knowledge and gather information on a given topic of health in new ways that may lead to a discovery to improve patient's lives. Donna Magid, MD, MEd, Mentor of the Year In addition to her joint appointments as professor of radiology, orthopedic surgery, and functional anatomy at Johns Hopkins University School of Medicine and Director, JHU SOM Horizontal Strand in Diagnostic Imaging, Dr. Magid is affectionately known as a mentor to countless medical students in search of advice. Dr. Magid knows firsthand the value of mentors, having had several people who mentored her in medical school and helped change the direction of her career. She in turn is now a constant presence in her students' lives from day one of medical school until they leave for their residency. In addition, Dr. Magid has launched two computer-based tools to help her students succeed. TeamRads is a website compendium of radiology resources, and Apps of Steel steers students through the residency application process. "This year's Health Hero awards recipients are an amazing group of individuals who are impacting the lives of so many through their insights, courage, and perseverance," said Kristy Hammam, Editor in Chief and SVP for WebMD. "We are proud to honor the new generation of Health Heroes who are meeting health and medical challenges head-on and to those who help guide and grow others within the medical community." WebMD's Health Heroes will each receive a $25,000 donation from WebMD to his or her cause and will be featured in the January issue of WebMD Magazine. Special invited guests will join WebMD to honor and celebrate this year's winners on January 22, 2018, in New York City. You can read more about past WebMD Health Heroes at www.webmd.com/healthheroes.